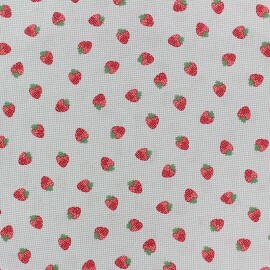 Find in this special 40th-anniversary edition, new versions of the most iconic and instantly-recognizable prints from the Classics range of Liberty Fabrics created in 1979. 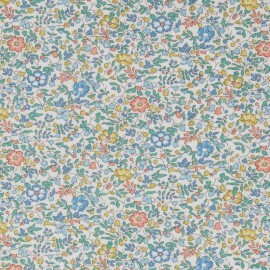 Rediscover this Thorpe pattern, a Liberty classic in this blue version with colorful flowers. Find in this special 40th-anniversary edition, new versions of the most iconic and instantly-recognizable prints from the Classics range of Liberty Fabrics created in 1979. 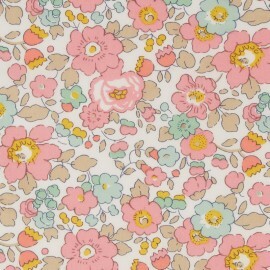 Rediscover this Katie and Millie pattern, a Liberty classic in this version with small pink flowers. Find in this special 40th-anniversary edition, new versions of the most iconic and instantly-recognizable prints from the Classics range of Liberty Fabrics created in 1979. 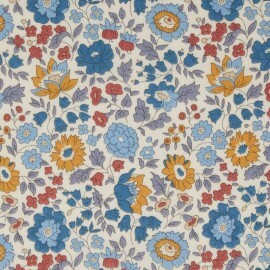 Rediscover this Katie and Millie pattern, a Liberty classic in this version with small blue flowers. 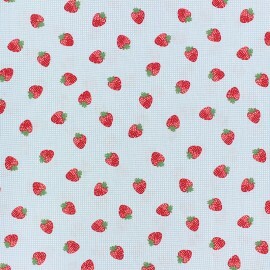 Find in this special 40th-anniversary edition, new versions of the most iconic and instantly-recognizable prints from the Classics range of Liberty Fabrics created in 1979. 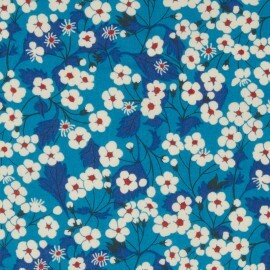 Rediscover this Mitsi pattern, a Liberty classic in this blue version with small white flowers. Find in this special 40th-anniversary edition, new versions of the most iconic and instantly-recognizable prints from the Classics range of Liberty Fabrics created in 1979. 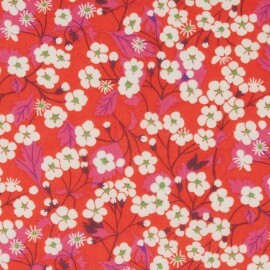 Rediscover this Mitsi pattern, a Liberty classic in this red version with small white flowers. 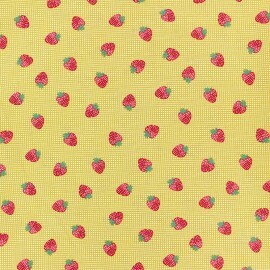 Find in this special 40th-anniversary edition, new versions of the most iconic and instantly-recognizable prints from the Classics range of Liberty Fabrics created in 1979. 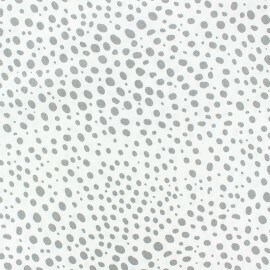 Rediscover this Mitsi pattern, a Liberty classic in this white version with small white flowers. Find in this special 40th-anniversary edition, new versions of the most iconic and instantly-recognizable prints from the Classics range of Liberty Fabrics created in 1979. 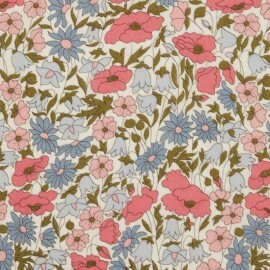 Rediscover this Poppy and Daisy pattern, a Liberty classic in this white version with small blue and pink flowers. Find in this special 40th-anniversary edition, new versions of the most iconic and instantly-recognizable prints from the Classics range of Liberty Fabrics created in 1979. 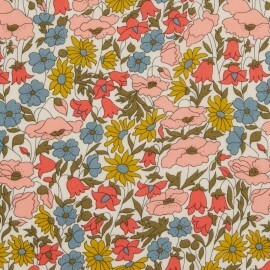 Rediscover this Poppy and Daisy A pattern, a Liberty classic in this white version with small blue, pink and yellow flowers. Find in this special 40th-anniversary edition, new versions of the most iconic and instantly-recognizable prints from the Classics range of Liberty Fabrics created in 1979. 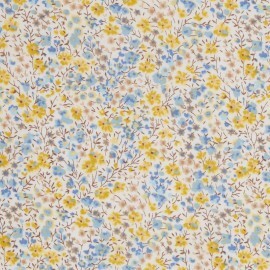 Rediscover this Phoebe pattern, a Liberty classic in this white version with small blue and yellow flowers. Find in this special 40th-anniversary edition, new versions of the most iconic and instantly-recognizable prints from the Classics range of Liberty Fabrics created in 1979. 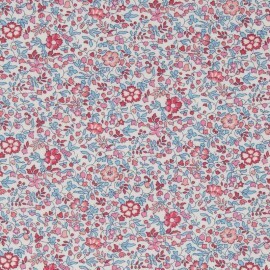 Rediscover this Betsy pattern, a Liberty classic in this version with red and purple flowers. Find in this special 40th-anniversary edition, new versions of the most iconic and instantly-recognizable prints from the Classics range of Liberty Fabrics created in 1979. 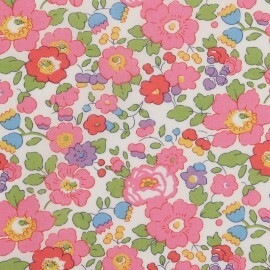 Rediscover this Betsy pattern, a Liberty classic in this white version with small pink flowers. Find in this special 40th-anniversary edition, new versions of the most iconic and instantly-recognizable prints from the Classics range of Liberty Fabrics created in 1979. 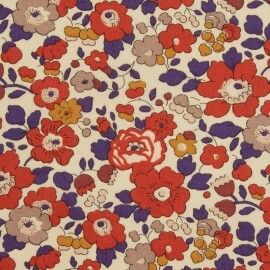 Rediscover this Betsy pattern, a Liberty classic in this white version with small red and pink flowers. Find in this special 40th-anniversary edition, new versions of the most iconic and instantly-recognizable prints from the Classics range of Liberty Fabrics created in 1979. 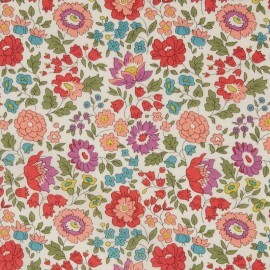 Rediscover this D'Anjo pattern, a Liberty classic in this white version with small red and pink flowers. Find in this special 40th-anniversary edition, new versions of the most iconic and instantly-recognizable prints from the Classics range of Liberty Fabrics created in 1979. 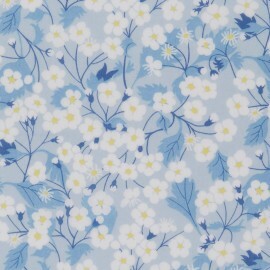 Rediscover this D'Anjo pattern, a Liberty classic in this white version with small blue flowers. Find in this special 40th-anniversary edition, new versions of the most iconic and instantly-recognizable prints from the Classics range of Liberty Fabrics created in 1979. 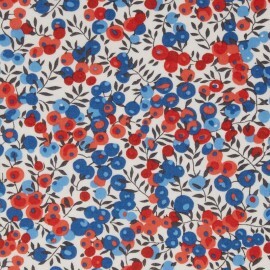 Rediscover this Wiltshire pattern, a Liberty classic in this white version with small red and blue round flowers. Find in this special 40th-anniversary edition, new versions of the most iconic and instantly-recognizable prints from the Classics range of Liberty Fabrics created in 1979. 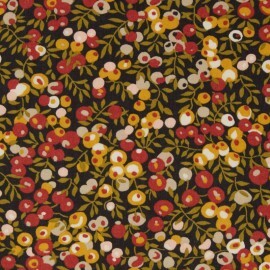 Rediscover this Wiltshire pattern, a Liberty classic in this autumns colors version with small round flowers. Find in this special 40th-anniversary edition, new versions of the most iconic and instantly-recognizable prints from the Classics range of Liberty Fabrics created in 1979. 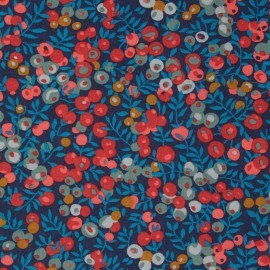 Rediscover this Wiltshire pattern, a Liberty classic in this navy blue version with small round and red flowers. 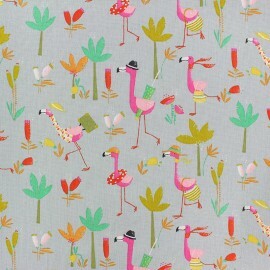 Fall for this pretty Oeko-tex certified patterned Lotus cotton poplin fabric. 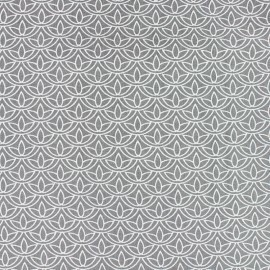 With this soft 100% cotton fabric and pretty grey and white graphic lotus patterns, create trendy clothes and accessories. 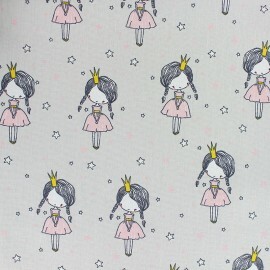 Fall for this pretty Oeko-tex certified patterned Diamond cotton poplin fabric. 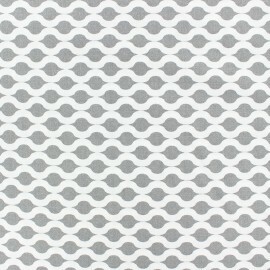 With this soft 100% cotton fabric and pretty grey and white graphic patterns, create trendy clothes and accessories. 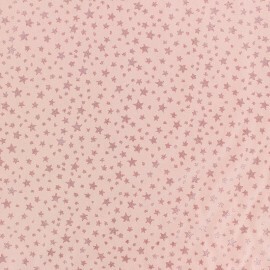 Fall for this pretty Oeko-tex certified patterned Croisette cotton poplin fabric. 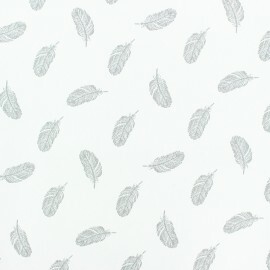 With this soft 100% cotton fabric and pretty grey and white graphic patterns, create trendy clothes and accessories. 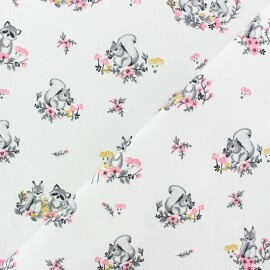 Fall for this pretty Oeko-tex certified patterned Carreaux cotton poplin fabric. 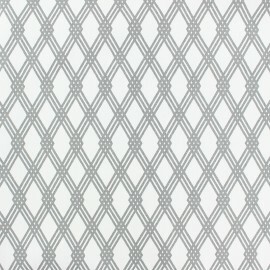 With this soft 100% cotton fabric and pretty grey checked patterns on a white background, create trendy clothes and accessories. 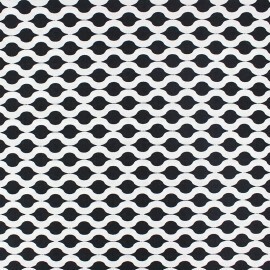 Choose to the timeless black and white colors with this pretty Oeko-tex certified patterned Lotus cotton poplin fabric. 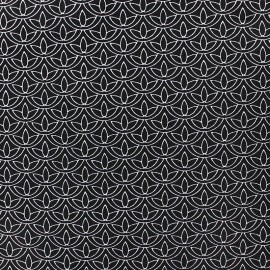 With this soft 100% cotton fabric and pretty black and white graphic lotus patterns, create trendy clothes and accessories. 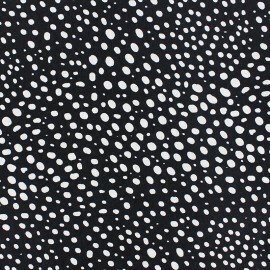 Choose to the timeless black and white colors with this pretty Oeko-tex certified patterned Croisette cotton poplin fabric. 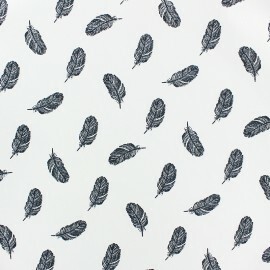 With this soft 100% cotton fabric and pretty black and white graphic patterns, create trendy clothes and accessories. 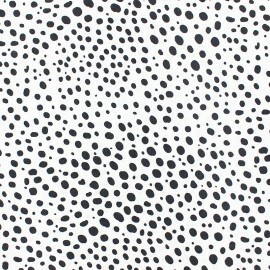 Choose to the timeless black and white colors with this pretty Oeko-tex certified patterned Carreaux cotton poplin fabric. 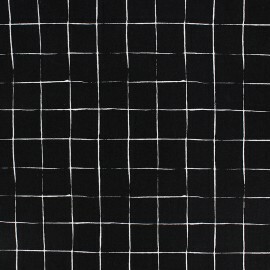 With this soft 100% cotton fabric and pretty white checked patterns on a black background, create trendy clothes and accessories. 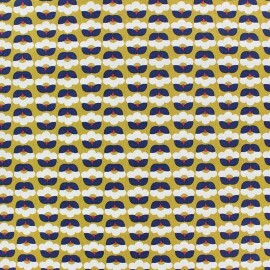 Enjoy a wide apparel fabric selection! 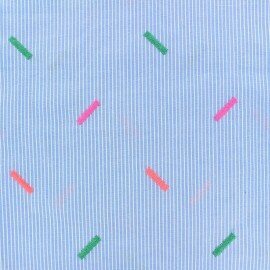 Discover our striped cotton voile fabric with neon confetti embroideries and blue and white stripes ! 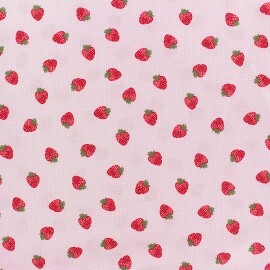 This fabric is very light perfect for summer clothes : tops, blouses, dresses and kids clothes. 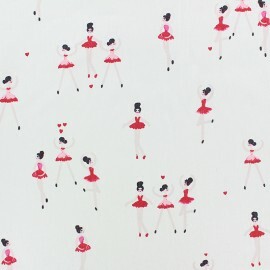 This fabric is quite transparent, do not hesitate to line it for more opacity. 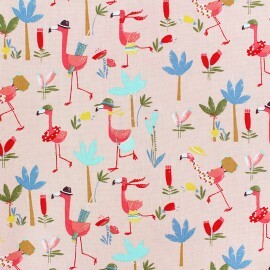 Discover a large range of plain cotton fabrics by Ma Petite Mercerie.  Choose our timeless very dark night blue cotton fabric. 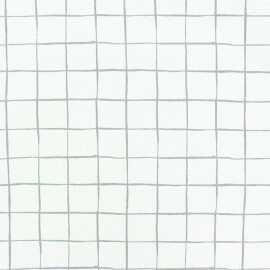 Oeko-Tex certified fabric will become the perfect lining fabric, blouses, and more. 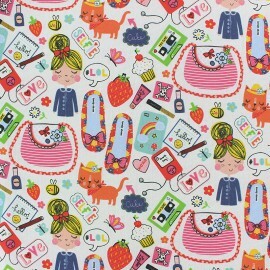 Fall into the retro and colorful world of Fiona Hewitt designer with this Tiny Flowers Oeko-Tex certified cotton poplin fabric! 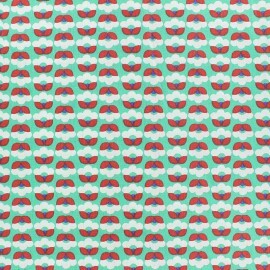 This pop and colorful fabric with small retro flowers on a green background is ideal for making blouses, tops and accessories! 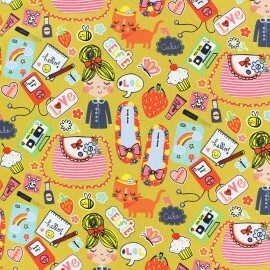 Fall into the retro and colorful world of Fiona Hewitt designer with this Tiny Flowers Oeko-Tex certified cotton poplin fabric! 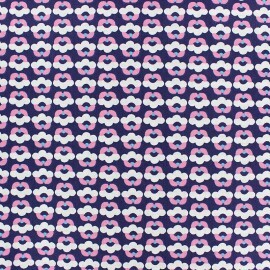 This pop and colorful fabric with small retro flowers on a pink background is ideal for making blouses, tops and accessories! 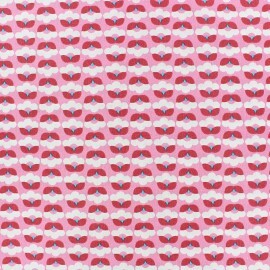 Fall into the retro and colorful world of Fiona Hewitt designer with this Tiny Flowers Oeko-Tex certified cotton poplin fabric! This pop and colorful fabric with small retro flowers on a mustard yellow background is ideal for making blouses, tops and accessories! 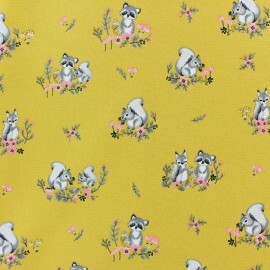 Fall into the retro and colorful world of Fiona Hewitt designer with this Tiny Flowers Oeko-Tex certified cotton poplin fabric! 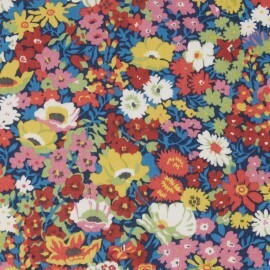 This pop and colorful fabric with small retro flowers on a dark blue background is ideal for making blouses, tops and accessories!